Blogging can be overwhelming. There is so much that goes along with it that sometimes we get burned out. Trust me, I’ve been there and done that. But I love blogging and the community so I had to learn a few tricks to make it easier. My number one tip to beat burn out is to schedule your posts ahead of time. And I’m going to show you how to do just that! I normally spend one night each week scheduling out posts. I can not tell you how much pressure this takes off me during the day and week in general. I’m not able to be at a computer all day with two toddlers running around so writing and publishing a post that day is not really an option. 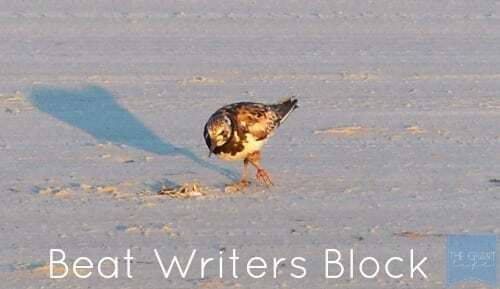 Scheduling posts also helps with writers block. If I have my posts scheduled for a week or two in advance (a rare occasion) I can focus on new content I want to write. I have an editorial calendar and every time I have an idea for a new post I add it to the calendar. I can also think about up coming holidays or events I might want to write about. If my posts are scheduled my mind is free to think ahead. 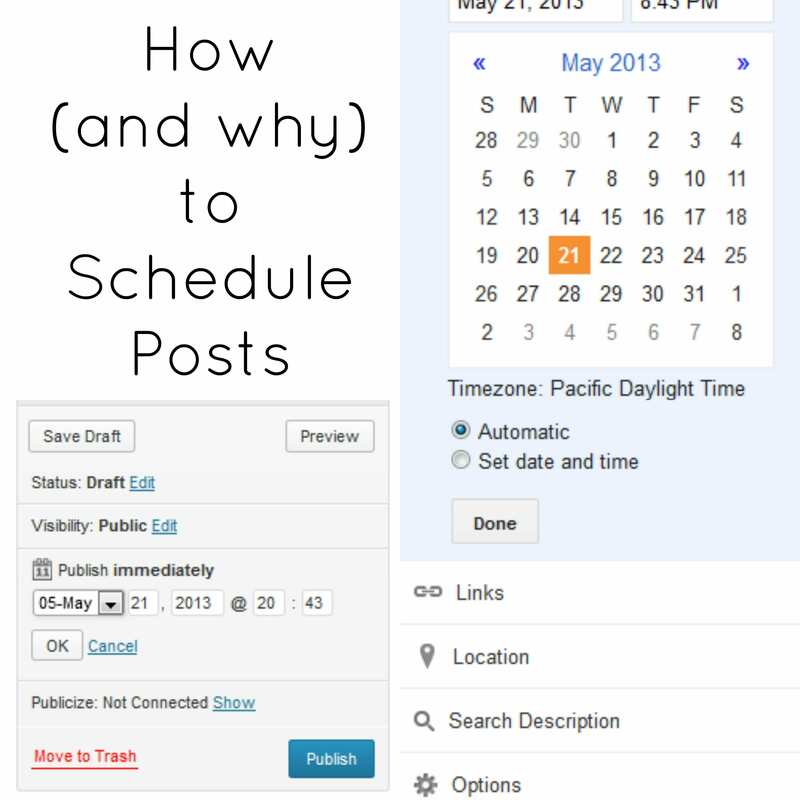 Ok, so how do you schedule your blog posts? Blogger is set to Pacific Time. Make sure you convert that to your time zone if you aren’t in PST. Do you schedule your posts already? Love this! I am curious how many posts do you have scheduled at a time? I typically write a post and schedule for the next day or post it immediately. Thank you! I schedule out a week at a time; sometimes two if Im really lucky. So 5-10 posts. You are amazing and that is awesome! I need to start doing that :). I try to schedule my posts a couple days ahead of time. My goal is to eventually have a bank of posts so that I can stay a week ahead too! Good post ! Thanks for the info. Pinned it! My pleasure! Thanks for pinning! LOVE this. It took me awhile to learn to schedule ahead but now I sometimes have things ready a month in advance. Lifesaver if you have a bunch of projects on the go. Hey Kelley – great post! I already schedule everything..I would die if there were no scheduling feature! I’m like you, I try to have everything done and scheduled a week ahead. It is so nice that way. 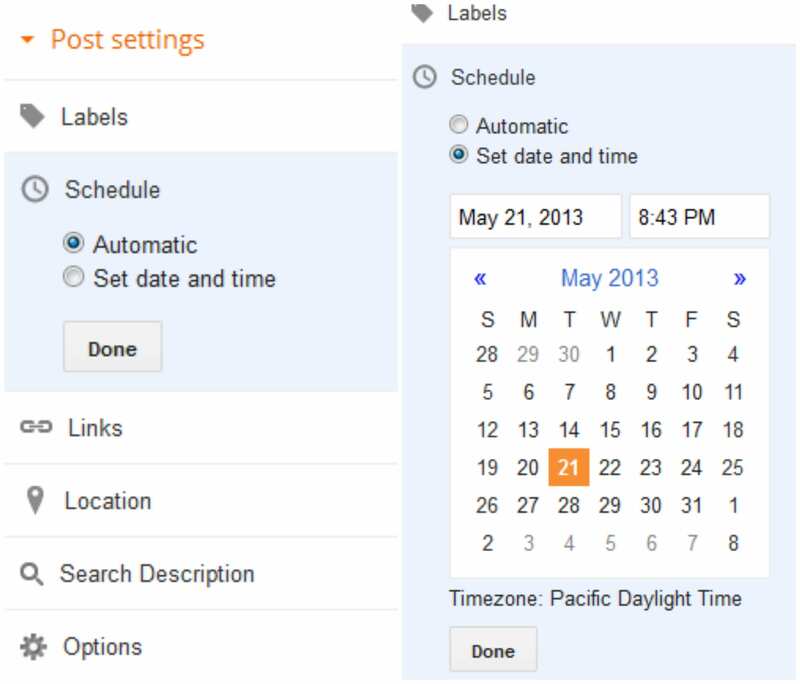 I did want to add that on blogger under the settings area, then the ‘Language and Formatting’ you can set your time zone. That way it will show & post in your current time zone versus having to figure that out. Thank you so much for that tip!! I was on blogger a year and never knew that! You are the best! The only thing I havent worked out is how to automatically get my posts to publish to my twitter and facebook, so I still need to log in once the posts are live and copy the links over which is a pain. Any ideas on how to get around this? Hey Kelley, I have a question for you. I tried this once. I did it in just the way you illustrated above but when that time actually came, my post didn’t publish. Got an idea what I did wrong? You know what? Mine doesn’t work. 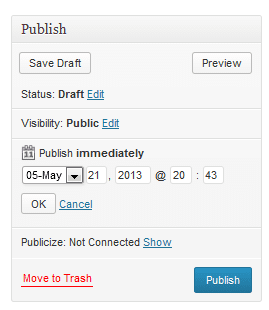 I think there is a conflict with the editorial calendar plugin. What plugin do you use for your editorial calendar? I have one and it doesnt seem to be a problem. Mine was like that too. Maybe everyone 1 out of 10 posts wouldn’t go when I scheduled it. Not sure why and I wish I could help more but thats all I know. I need to start doing this. Just found your website and already loving your posts. Thank you so much.